[prMac.com] Wilmington, Delaware - The new website of Contacts Duster Pro mirrors the new version of the app: it is sleeker, faster, and user-friendlier. Users who would like to see details and updates about the useful app will find the website easy to navigate. A few clicks will lead readers of the website to whatever information they would like to read - no need to dig several pages deep just to know the specs or where to buy the app. Users who visit the website on their mobile device will also get a welcome surprise. The mobile version of the Contacts Duster website features smart app banner, which has been recently introduced by Apple with their latest iOS 6. The banner contains useful information such as price, user ratings, and app name. The banner floats on top of the user's screen, thus making website-viewing obstruction-free. The biggest improvement in version 2.2 is the added functionality of marking undetected duplicates after Auto Dusting. 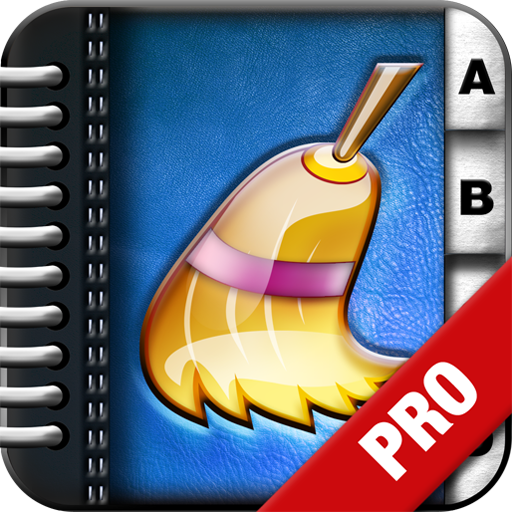 Once a user has used the Contacts Duster Pro to weed out duplicate and zombie entries in their address book, they can then select duplicates contacts which have been missed by the app. With a few more gestures, these duplicates can either be merged or purged. Version 2.2 of Contacts Duster Pro still retains its old useful features. With this app, users can easily see clean, duplicate, or unassociated e-mail entries from their address book in visual graph form or in list form. With the graph form, users can exert little effort to scope and weed out unnecessary duplicates from their address book. * Group contacts easily. The app provides users the ability to create groups of contacts. Users can also delete or add groups without any fuss. The app automatically deletes empty groups. * Apply a country code to contacts in one single touch. For iPhone users who are switching countries, the app provides a way to add a country code to all of their local contacts. With one touch, contacts without a country code will have one prefixed to their number. * Delete and share multiple contacts. Users can easily delete multiple contacts at once, as well as share batches of contacts. * In-app backup and restore. In the event that your iPhone becomes broken, the application has its own backup system so you can easily retrieve and restore your address book. Contacts Duster Pro 2.2 is $2.99 USD (or equivalent amount in other currencies) and available worldwide exclusively through the App Store in the Utilities category. For comments and more information about the company or the Contacts Duster application, please visit MyClickApps online. MyClickApps LLC has been in the business for only over a year, yet the company has already provided an array of extremely useful apps for the iPhone. Founded by Dr. Muhieddine EL Kaissi, MyClickApps.com has pushed the boundaries of the iPhone and helped it transform into an all-in-one device. From the 1-Click Flashlight app to the widely acclaimed A Special Phone app, the Delaware-based company has proven to be a force in creating practical applications for mobile phones. You can visit the company's website at MyClickApps.com, and be updated on the fly by following them on Twitter. Copyright (C) 2012 MyClickApps LLC. All Rights Reserved. Apple, the Apple logo, iPhone, iPod and iPad are registered trademarks of Apple Inc. in the U.S. and/or other countries.